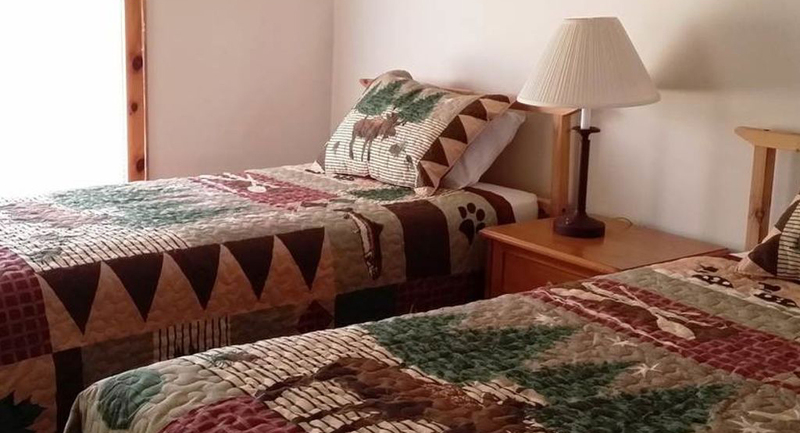 Two bedroom and one bath cabin offering 1 queen bed and 2 twin beds. 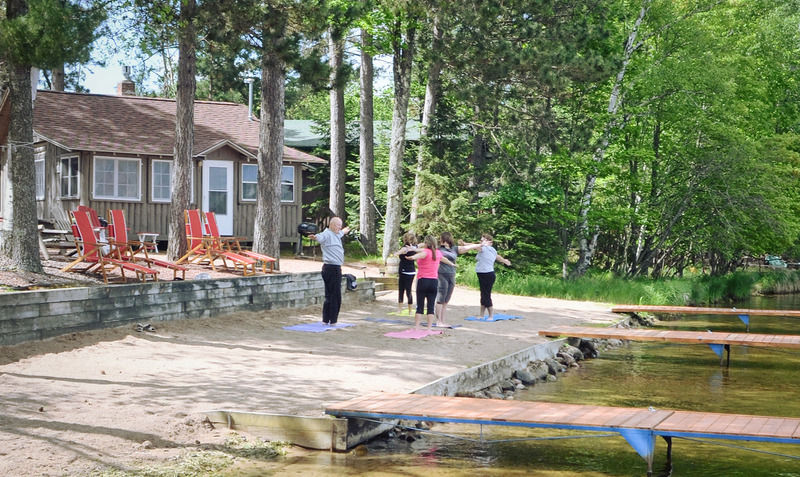 The cottage features a living room that includes a color-cable TV, sleeper sofa and a gas fireplace. 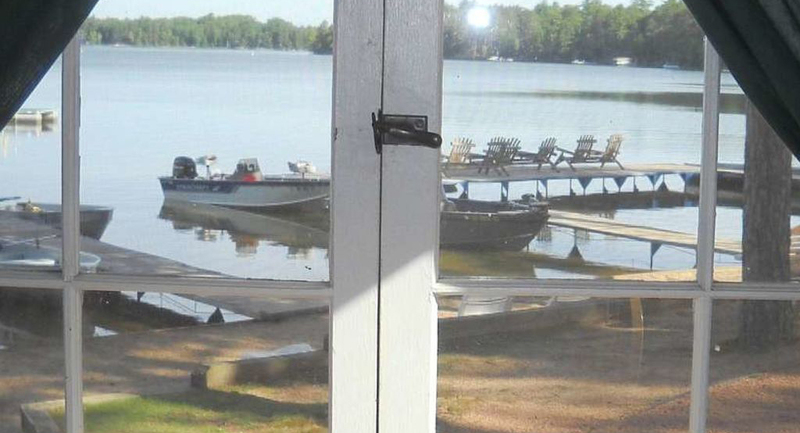 The small enclosed lakeside porch is the perfect setting for beautiful lake views. 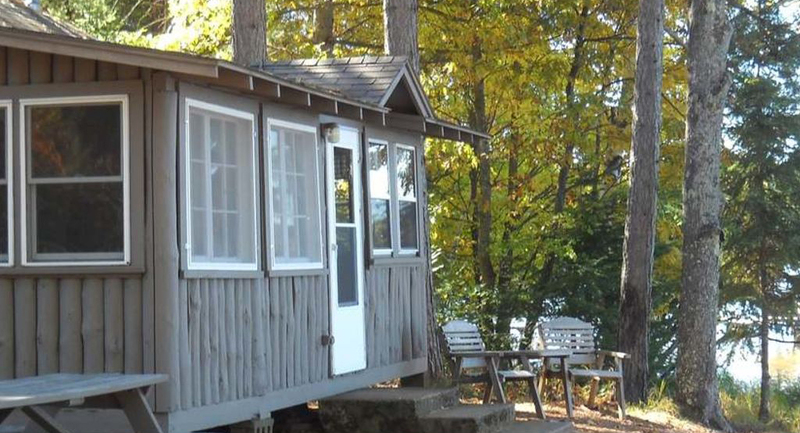 This cottage is situated on the water's edge. 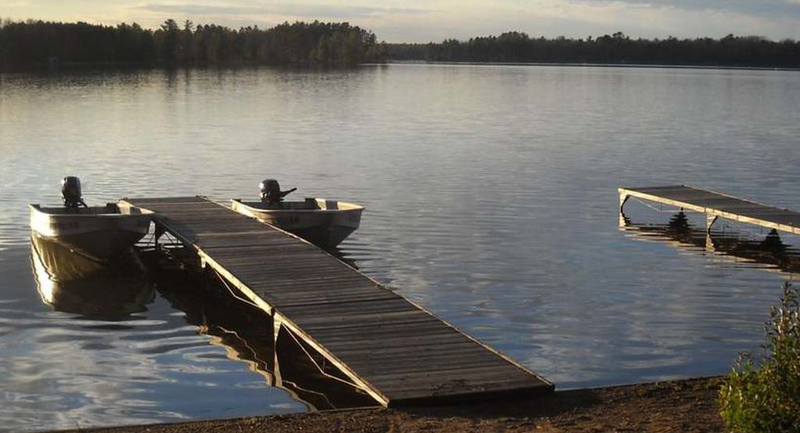 A good choice for families who enjoy swimming, boating, fishing and sunning. Right at the steps to the sandy beach. 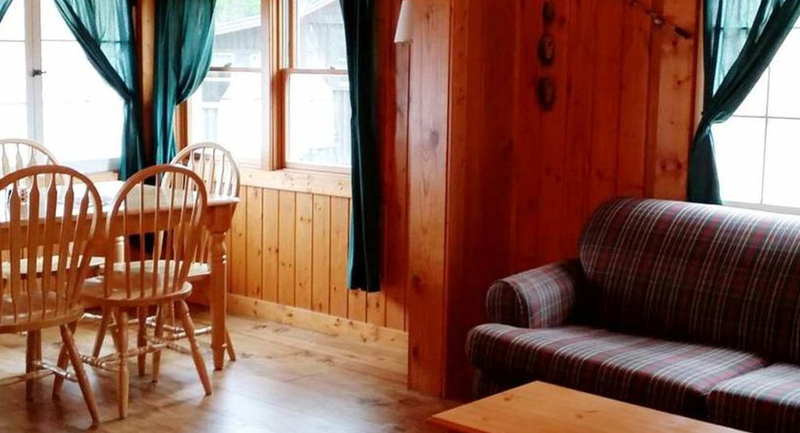 Updates to this cabin include a newly inspired porch with simple bench seating, plenty of storage for toys, poles and coolers, new cushions & a a fresh coat of paint. 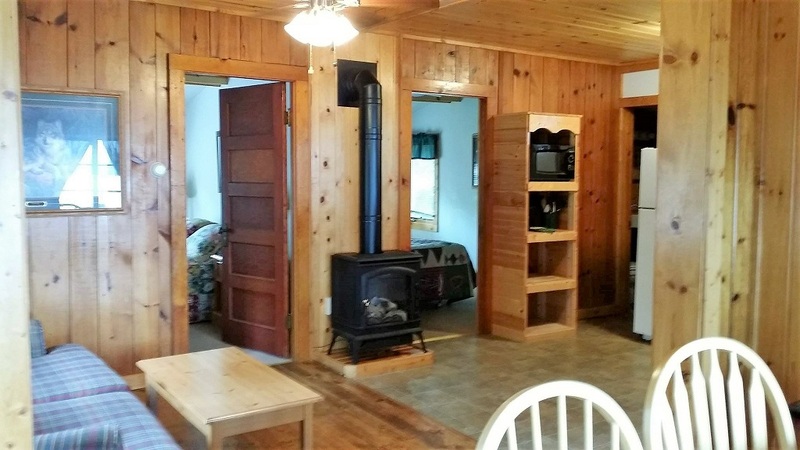 This cabin also has new hardwood flooring replacing the tired green carpeting in the living room/dining room area and updating bathroom fixtures. This cabin has a new Roof too.